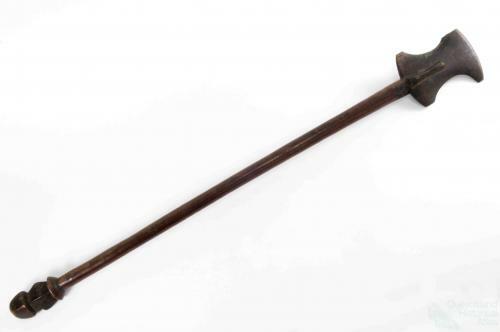 This wooden club belonged to Wommilly, a South Sea Island labourer in the Logan region of south-east Queensland. The club is from Ambrym in Vanuatu which is likely to have been Wommilly’s homeland. It was donated to Queensland Museum in 1879 by Wommilly's employer.